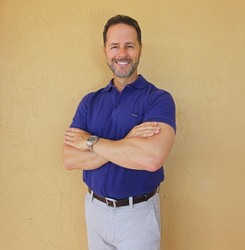 Haute Residence welcomes acclaimed Broker, Pete Riveiro to its prestigious Real Estate Network, where he exclusively represents the Luxury Real Estate Markets in Key Largo and Islamorada, Florida. A former Financial Consultant with Merrill Lynch and over 25 years in the Real Estate Industry, Pete leads the market as top Real Estate Broker in the upper Florida Keys. With a passion for networking and financial planning, Pete represents a wide spectrum of clients from high net-worth individuals to first time home buyers. His unique expertise has also allowed him to successfully lead the acquisition of multi-million dollar investments, both residential and commercial. The invitation-only luxury real estate network, which partners with just one agent in every market, unites a distinguished collective of leading real estate agents and brokers and highlights the most extravagant properties in leading markets around the globe for affluent buyers, sellers and real estate enthusiasts.